For students with an Associates Degree in Business Administration interested in completing their BSBA major in Management online, visit our Online Learning website for more information. 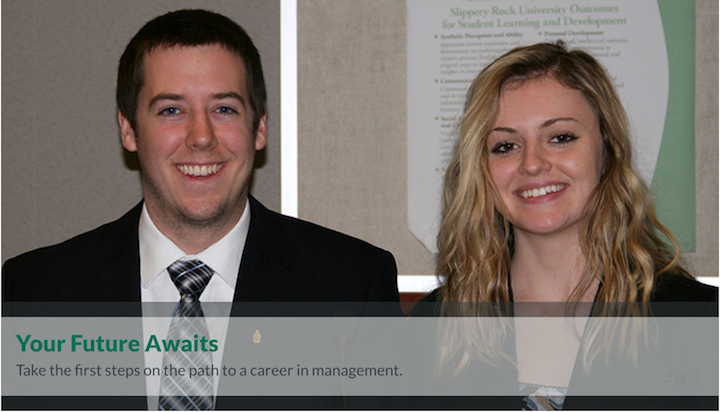 If you plan on owning a business, working as a consultant, or holding a leadership role within any size or type of organization, the Management program at SRU will prove valuable to you. You'll discover how to make decisions regarding production, personnel, and overall strategy, and gain insight into growing societal demands, international competition, and the multicultural nature of today's workforce. 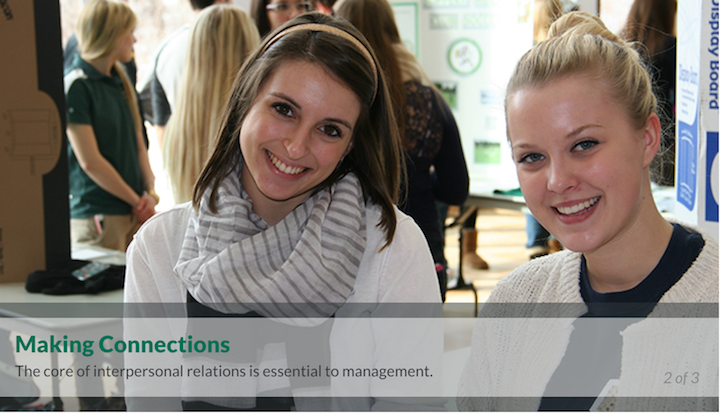 Rachel Diamond, a senior Business Management major with minors in Marketing and Information Systems, talks about how her major has provided her various opportunities to practice what she has learned both inside and outside the classroom. She is involved in Honor's program, and she discusses her life-changing, study abroad trip to Ireland. She is proud to say that she has a career lined up after graduation from a prestigious company due to the fact of the education she has acquired at SRU!